Langyu has over 30 years experience in research, development, and validation of analytical methods. She has worked in biotech, pharmaceutical, medical device, food, and analytical instrument companies. She is an accomplished contributor to the blockbuster TAXUS drug eluting stent, which was developed by Boston Scientific Corporation and approved by the FDA in 2004. She also involved in research and development of three magnetic resonance imaging contrast agents, which received FDA’s approval in 1990s. Langyu is now a senior consultant at Amphitide Inc.
Langyu’s expertise includes: drug delivery, in vitro drug release in different media, bioanalytical analysis of in vivo drug metabolites using LC/MS/MS (liquid chromatography and mass spectrometry), drug and stent stability study in compliance with USP guidelines, impurity and degradation profiles of API (active pharmaceutical ingredients), etc. 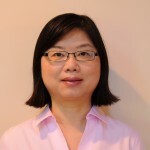 Langyu earned her Master of Science in Analytical Chemistry from Ohio University and her Bachelor of Science in Analytical Chemistry from Peking University. * Scientific advisors are not financial partners with FLG.